Since it’s introduction in 1964 the H&K MP5 has been arguably the most successful pistol caliber carbine. With over 100 variants produced, several international licensed manufacturers, and adopted by 40 nations for their police, military, and special operations forces, the little German space magic 9mm has a prestigious history that has stretched into 2017 with no sign of being lost to history yet. 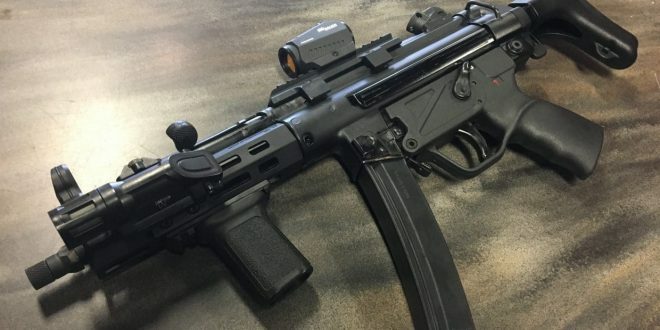 Several companies have tried to retire the old warhorse with an updated design but as of this writing no one has successfully dethroned the MP5 en mass. Even H&K in 1999 with the UMP tried to usurp their own well aged weapon and didn’t succeed. The simple, smooth, rugged, and reliable little carbine is holding its own in the modern era. Plus it has a character and class all its own from its well earned reputation. The MP5 entered my life through a strange array of events. There had always been a draw to the gun but from a practical standpoint the modern PCC field held other very good options and my “need” for a small operational defensive carbine was well looked after by my LWRCi M6. The MP5 platform was firmly on the “wants” list on my acquisition schedule. Then my plans to attend a carbine class fell through and I suddenly had quite a bit of disposable income in close proximity to Brownell’s. 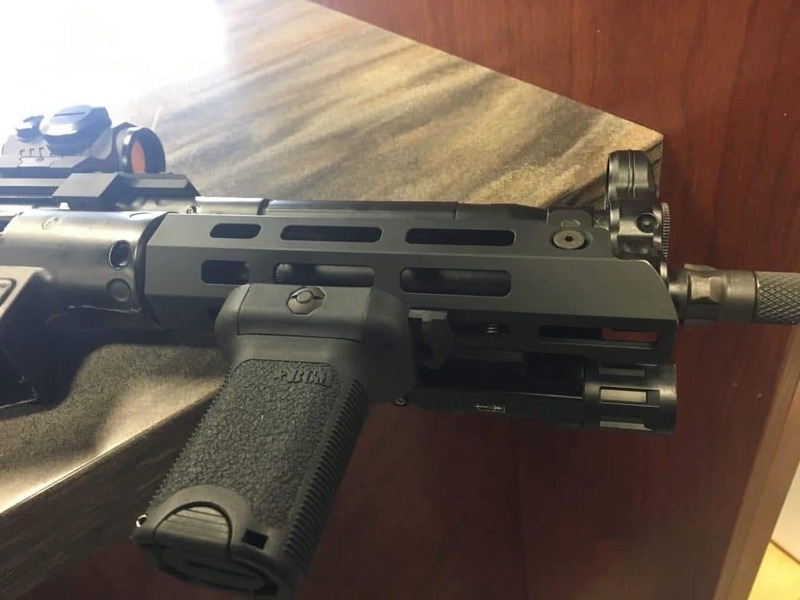 The Virginia based company had entered into a partnership with MKE of Turkey, one of the most well known and prolific licensed manufactures of the MP5 and many other H&K designed firearms for the Turkish Military, Police, and export. That Zenith/MKE partnership has resulted in a boon for the MP5 market because they were able to do two things that H&K was not doing. 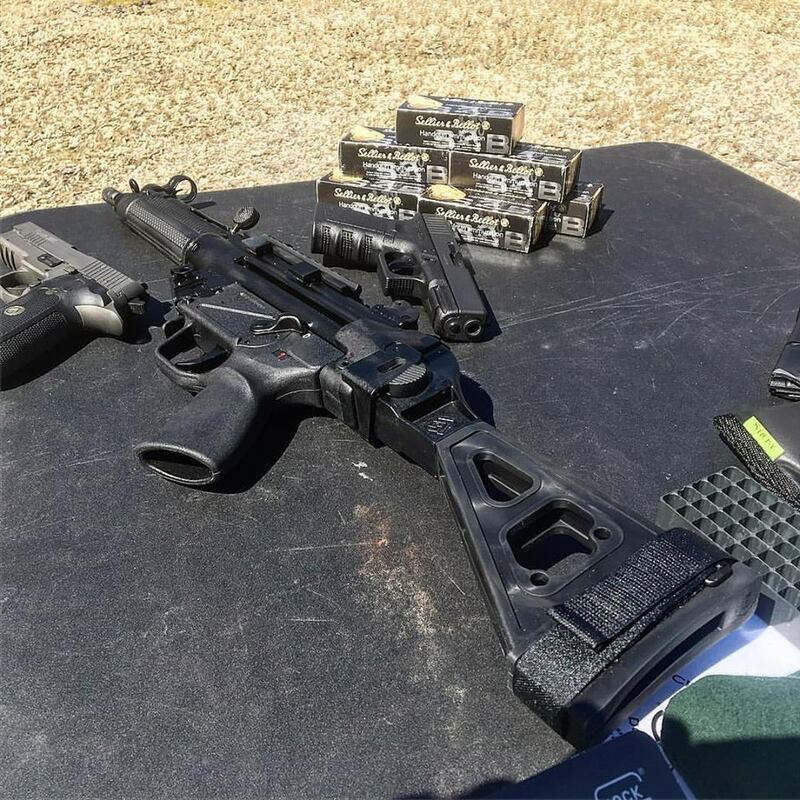 They were bringing the widest variety of true to form MP5’s to the market built on H&K machines and tooling with high grade true to spec parts… And they were doing so at about $1,000 less than H&K. As of my purchase and this writing H&K had only one new for sale variant. The SP5K, a modernized SP89 which was itself only imported for 5 years. That one H&K variant then had to be modified to add anything more genuine (*cough “paddle release” *cough cough) or muzzle threading, tri-lug muzzle, etc. Zenith on the other hand was making their full MP5 “carbine” line-up available. 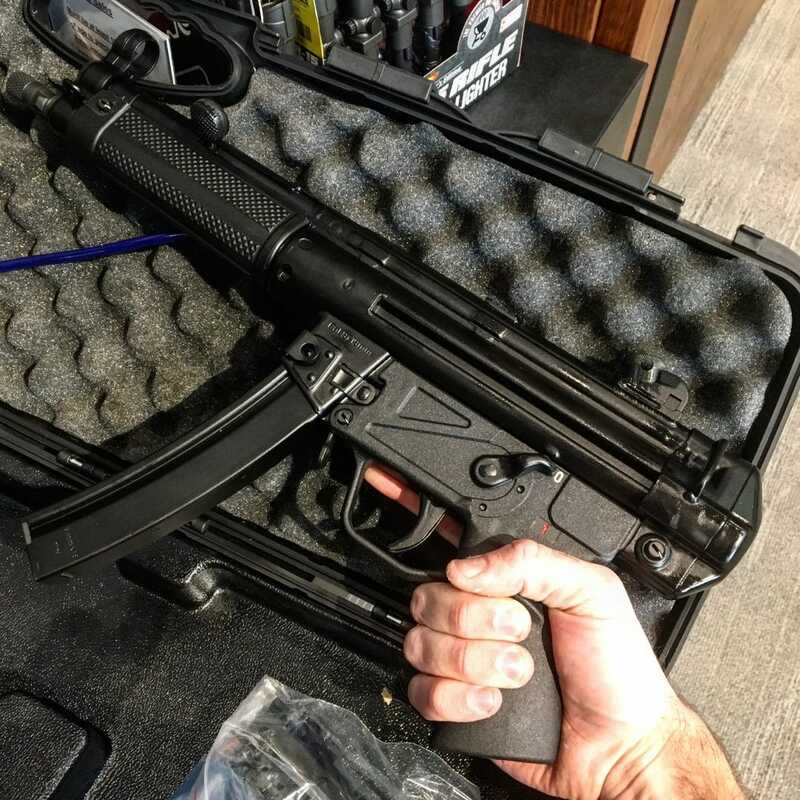 Z-5RS (Reverse Stretch) is the classic 8.9″ barreled MP5 configured as a pistol or factory SBR and comes with a tri-lug and 1/2×28 threaded muzzle. And they all had the paddle release from the factory, something I wanted. Zenith has expanded those four options considerably since I acquired mine. 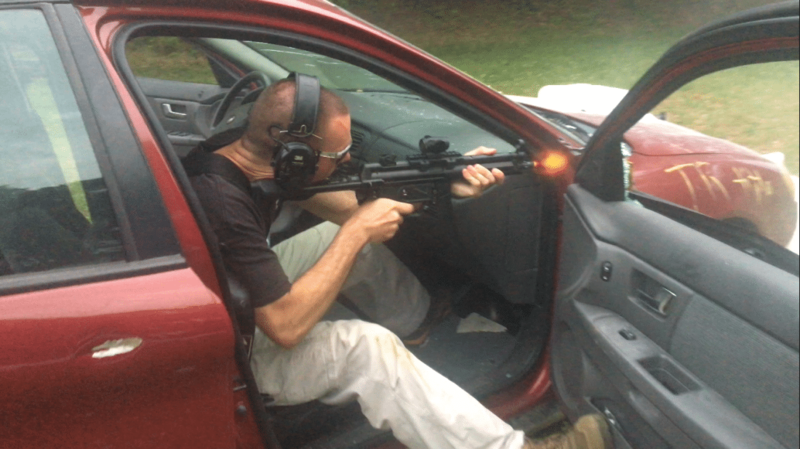 Sidenote: The Z-5RS is not a true “reverse stretch” MP5 as purists like to note. The RS was for inventory control designation as the true RS MP5’s are K models with the traditionally longer receiver. Zenith does not do that variant. Like I said I wandered in kind of bummed about my class and with some extra spending cash and ended up leaving with the Z5RS being shipped back to Michigan to await my arrival. To top it off I found another course, this one was MP5 specialty and I signed up. 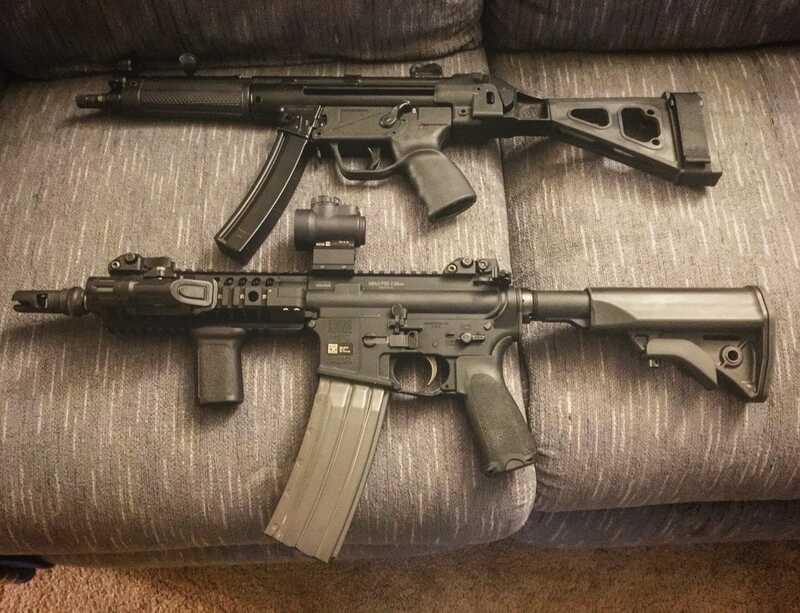 I considered the H&K and Zenith side by side for a long time when I decided an MP5 was coming home, I could’ve done either. The traditional configuration won my buy as it was evident both weapons were of excellent quality. For anyone reading saying “No man! 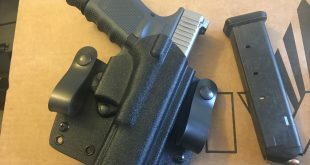 Dakota Tactical is the way to go.” Those exceptional guns were not available for impulse buying on Brownell’s shelf… just means I need another gun. Plus this Z-5 rocks, keep reading. I won’t waste your time going over the specs. They’re right here for those interested. We’ll see you folks back here in a minute. I have, as of this writing, approximately 5,000 rounds through my Z-5RS. I set a grueling training pace to try and bring myself up to speed on the the little unknown pistol carbine as I only had about 9 weeks to prep for my upcoming course. A case and a half of ammo went down the barrel prior to June, two and a half cases in June, and a case since. What have I learned about the Z-5RS in that time? I can count the number of stoppages I’ve had with the Zenith on one hand. Three were operator error, once each for three different shooters all riding the charging handle and shorting the bolt. One was an ammunition failure on a round of unknown origin (range pick up) and the last one I failed to seat the magazine, again operator error. The Z-5 has not caused or experienced a failure of its own yet. I’m keeping an eye on the extractor spring, the fastest wearing part, but everything still checks out. That extractor spring is incredibly easy to fix once it gets worn too, I can keep this thing maintained and running nearly effortlessly. 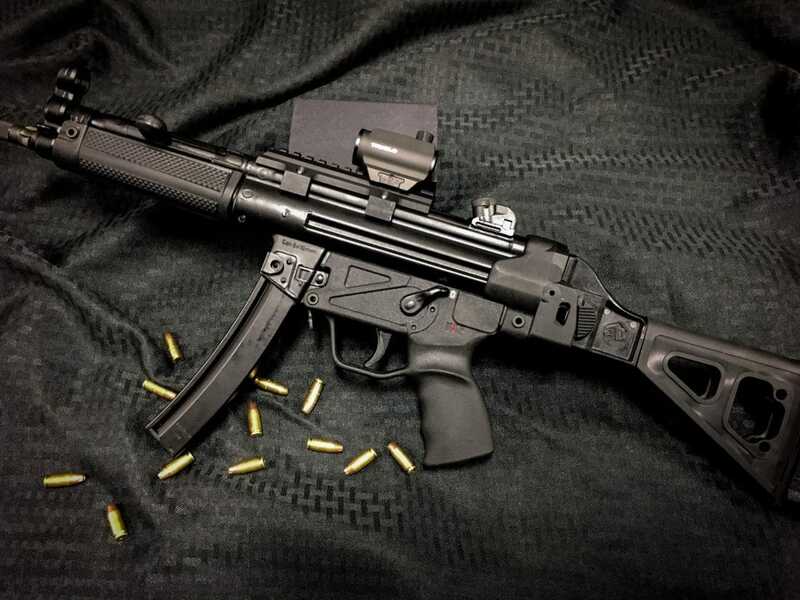 The Z-5RS far exceeded the stated accuracy standard of 3″ at 25 meters that H&K lists for the MP5 with iron sights. With a red dot sight a 2-3″ group was achievable firing supported at about 60 meters. People love to put arbitrary limits on pistol calibers but in reality they’re effective at far greater distances than most think. It was this education that placed the Zenith from the fun classic collectible it started as into an operational part of my every day carry. The Zenith uses the traditional push pin design from H&K. One rear pin, (two for K models) one front pin, and, if you choose, the handguard pin all come out and the gun comes apart. The tailcap, brace, or stock comes off. The lower and trigger group come off the receiver. The bolt carrier and recoil spring come out the back and the handguard strips off. 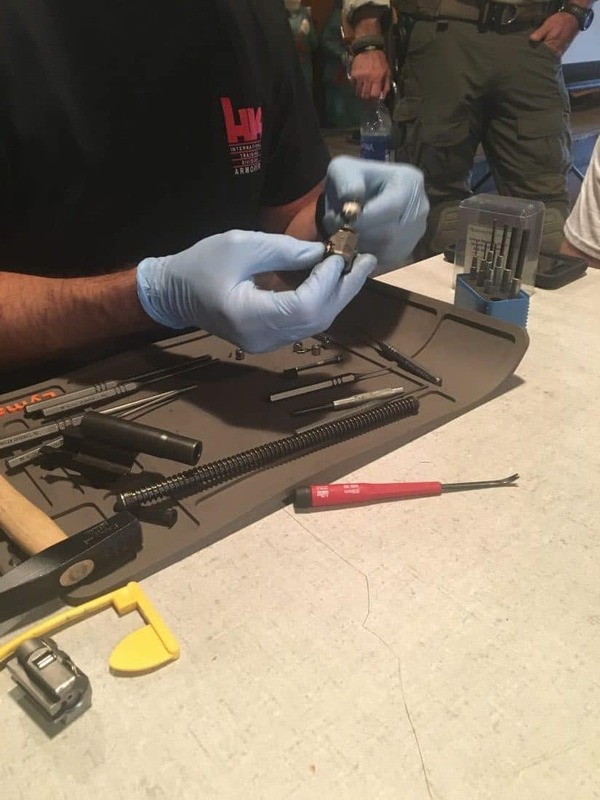 The recoil spring, carrier, bolt head, and firing pin assembly all separate with a few partial rotations leaving you with everything you need to clean neatly laid out. Stash your pins in a safe spot since they are not captive. Zenith provides spares just in case. Cleaning with the supplied cleaning kit, your favorite cleaner, and a cloth is simple. The MP5 certainly is a dated platform, it’s 53 years old and has not received the modernization attention that the AR15 has for two reasons. 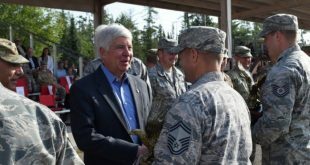 First, it isn’t a military standard service weapon. It is a more specialist weapon system that the Global War on Terror (GWOT) didn’t demand nearly as much evolution from. Secondly the MP5 hasn’t been huge on the U.S. Market (with only brief import by H&K for the available models and high prices) therefore aftermarket development was largely in Europe and little demand in the U.S. beyond the agencies who had them inventoried. Most such agencies saw little use the in cost of chasing upgrades. Just look at the number of patrol rifles in squad cars running iron sights and 20 round magazines to get a sense or your average LEO’s organizational momentum towards firearm optimization. 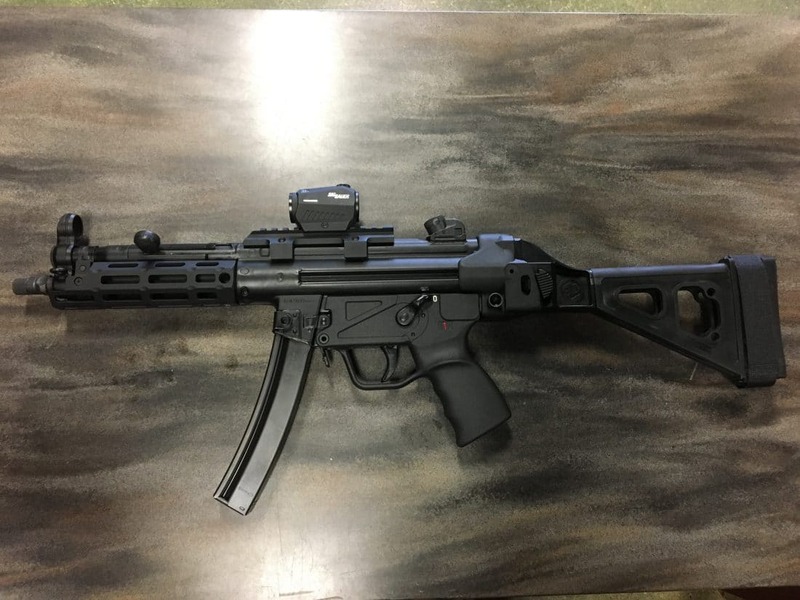 That particular aspect of market demand is changing and companies like SB Tactical, Midwest Industries, and Dakota Tactical are working the leading edge of that demand to bring the MP5 on par with other 21st century systems. The customization and optimization factors are on in full now with braces/stocks, modular handguards, optics, and more. Operating the MP5 in the modern day however is reminiscent of operating an AK platform. There are just certain features it lacks due to design. The most notable are no last round bolt hold open and consequently no bolt release. How much value you put in that ergonomic feature set varies from shooter to shooter. Some consider a non issue, others say its an inferior archaic blunder and vastly out performed by newer designs. I fall into more the non issue category. It’s been my experience and observation that someone who is proficient with the MP5 (or any platform) can consistently out perform someone who is inexperienced but has an ergonomically “superior” design. The operator is always the key to the systems efficiency and the Z-5RS is still a world class system and will likely remain so, along with the AR15 and AK47. For decades to come. I’m an AR guy by training. The Marine Corps taught me that weapon system first and transitioning to the MP5 takes some shift in methodology. Safety Manipulation: The grip and safety location seem to have been made with Andre the Giant as the operator. Breaking your grip to reach the thumb safety is normal on the Z-5RS and the detent is mighty. 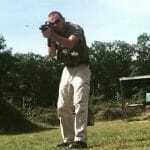 Those shooters wanting a smooth 90 degree throw, this is not it, however it is much easier than the AK. I find the technique similar to breaking your grip for a pistol mag change, just a slight rotation of the wrist. Charging Handle: The Charging Handle and cocking tube are at a 45 degree angle on the left side over top the barrel, this is a preferred location for me. Pulling the handle back and rotating it up into its slot is the only bolt lock method on the weapon. Manually locking the bolt is often part of the reload method and then “HK Slapping” to release and seat the bolt. Magazine Manipulation: The Z-5RS and MP5 are not a drop free magazine. While they don’t “rock to lock” like the FAL or AK they are meant to be removed manually from the gun, not through gravity. This action is easy to couple with paddle magazine release although there is a push button on the receiver too. It would take a might large hand to reach that button though from a traditional grip.I’ve seen three methods to run a reload on these weapons. The first is strip, feed, wrack… you pull empty magazine, seat the full magazine, then wrack the charging back and release. This method is quick but the possibility of having the magazine not seat on the closed bolt makes it sub par. The second is strip, lock, feed, rock… you pull the empty magazine, lock the bolt open, then seat the full magazine with no closed bolt pressure thus making it easy, finally you rock the locked charging handle down (HK Slap!) and the bolt feeds the fresh round. This is the method taught to me by Haley Strategic’s James Williamson and is also consistent with stoppage clearances. 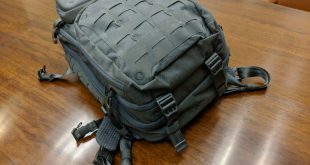 The third is lock, strip, feed, rock… you lock the bolt open, pull the empty magazine, seat the full magazine, and rock the charging handle down. This I found to be the smoothest flow on economy of motion since your hand flows back and down the weapon, then up and forward. However it is not consistent motion flow with stoppage clearance. 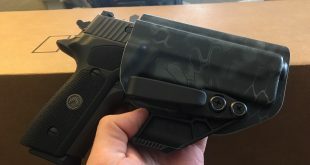 Beyond that the ergonomics and manipulations are similar enough to the AR, SCAR, and other modern platforms to have very significant cross over. I’ve never had a firearm I didn’t really intend to buy so firmly plant itself into my everyday routine. After training with the gun all summer and coming to appreciate the realistic capabilities it’s a regular as my vehicle, home protection, and work gun. Shooting it beside H&K’s, DT’s, Sigs, and CZs illustrated the Zenith Z-5RS’s quality, form, and function in spades and it is assuredly worth your consideration if a pistol caliber carbine is on your get list. But this one is definitely for me.